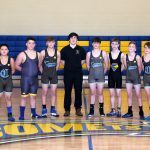 Four middle school wrestlers placed at the PTC tournament this past weekend at Garrettsville Garfield. Evan McGhee finished in 2nd place and Dalton Cooksey, Adam Strack, and Logan Tennant all finished in 4th place. Congratulations on a great season! The wrestling team is selling pepperoni rolls for $2/roll to help raise funds for the program. 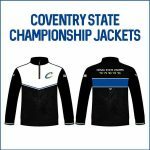 Order forms can be found under the “Program Links” tab on the wrestling page of coventryathletics.org and can be turned in to any wrestler or the Athletic Office. Congratulations to junior Joe Wright who placed 8th in the 120 lb weight class at the Division 2 State Wrestling Tournament this past weekend. By finishing 8th, Joe earned All-Ohio honors. Congratulations on a great season! Junior Joe Wright will compete at the State wrestling tournament this weekend in Columbus. Joe qualified by finishing as District runner-up in the 120 lb weight class at the Alliance District. This is Joe’s second appearance at the state tournament. 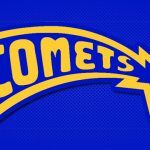 Be sure to follow @chcomets for updates on how Joe does. The wrestling team hosted a PTC Double Dual match last night with Streetsboro, Springfield, and Cloverleaf. 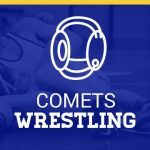 The Comets fell to both Streetsboro and Springfield but were led by junior Joe Wright, sophomore Austin Hinzman, and junior James Barte who all went 2-0. The wrestlers travel to Austintown Fitch today for this weekend’s Hephener Memorial Tournament. The wrestling team fought hard but lost to both Ravenna and Woodridge last night. Sophomore Austin Hinzman upset the #3 seed in the state in his match vs. Woodridge. Sophomore Liam Fagan and junior Isaac Beal both went 2-0. The wrestling team was out in the community on Saturday volunteering with Elves and More. They loaded up 1500 bikes to be sent to underprivileged children in Akron, Canton, and Cleveland. Thank you to the wrestling team for your help!